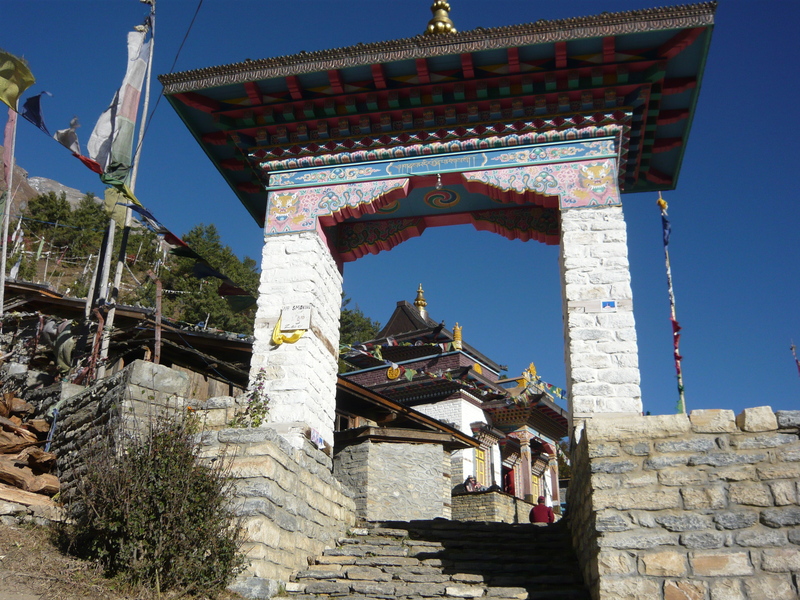 That afternoon in Pisang, we hiked up to a monastery which afforded gorgeous views of the mountains and was loaded with colorful, mystic prayer flags and incredible Buddhist artwork inside. We saw devoted monks chanting their prayers and dressed in maroon-colored robes. What a place to devote yourself to religion! Needless to say, there were many photo ops here. 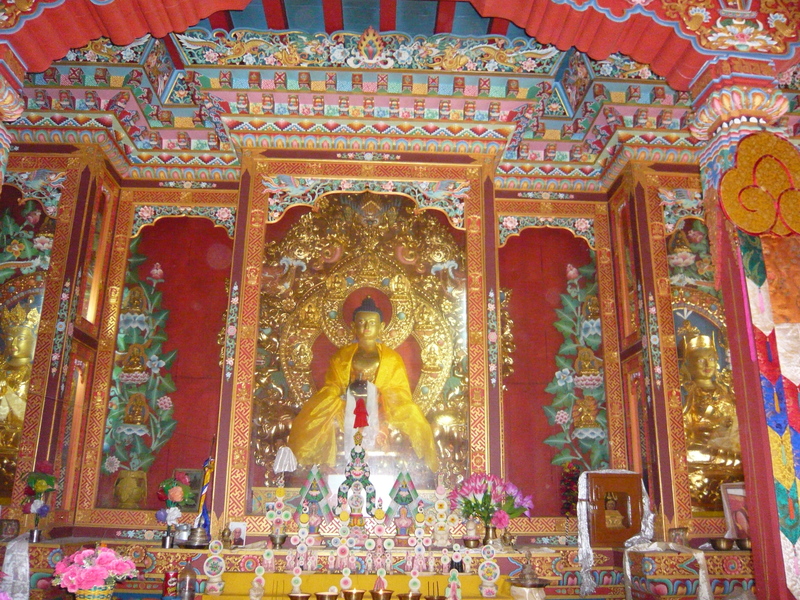 Inside the monastery. Gorgeous pictures of the interior of the monastery. 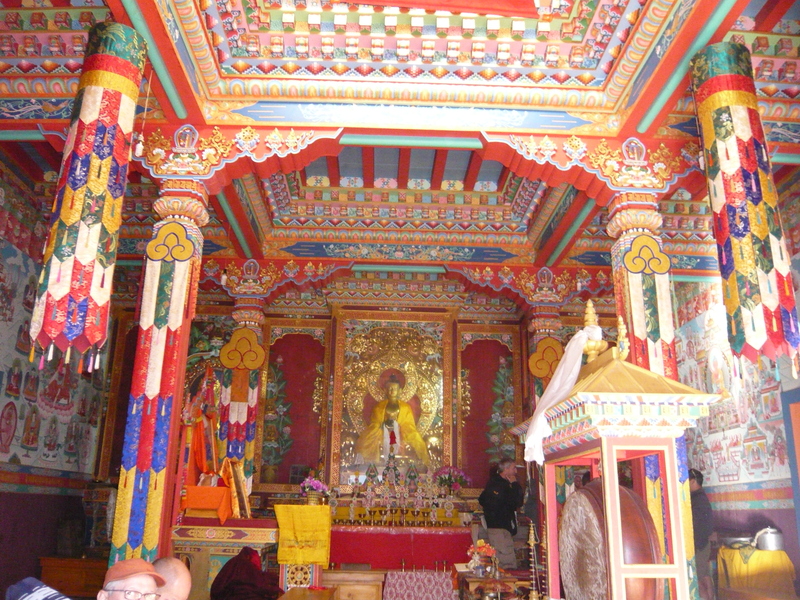 Apparently monks are specially trained in painting the interiors and it has all been created and maintained by local artists.